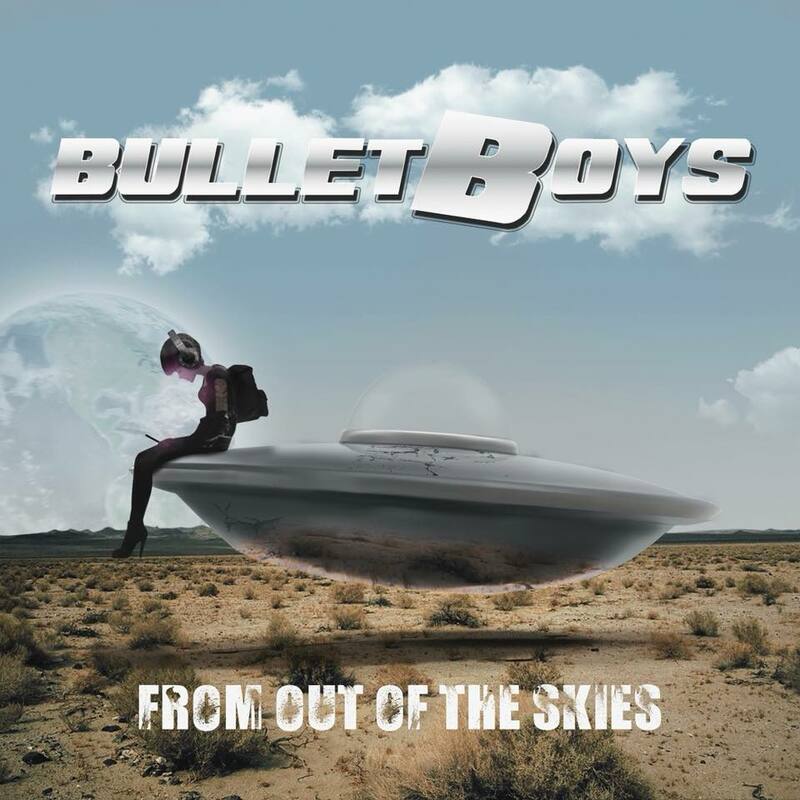 BULLETBOYS‘ new album, “From Out Of The Skies” will be released on CD/LP/MP3 on March 23, 2018 via Frontiers Music Srl. “From Out Of The Skies” was recorded at the Foo Fighters’ Studio 606. “Writing and recording ‘From Out Of The Skies’ was a humbling experience and recording this unpredictable album at the Foo Fighters’ Studio 606 was unbelievable and magical. Dave Grohl’s music got me through a very difficult time, so from day one I knew that we were in the right home to record. I was privileged enough to use one of Dave’s acoustic guitars to record with, along with a hand-picked drum set by Taylor Hawkins. I appreciate the opportunity to record there,” says Torien. The BULLETBOYS began as a collection of talented musicians from high-profile bands such as King Kobra and Ratt. Using their credentials, they were able to quickly capture the attention of music fans around the world while front man Marq Torien emerged as one of the most underrated vocalists of the era. The BULLETBOYS formed in 1988 at the very peak of the Los Angeles Glam Metal movement. With record companies constantly searching for new talent, they possessed a pedigree that most bands would kill for. Unlike the other glam rockers of the day, the BULLETBOYS were more Hard Rock and blues fusion than pure Hair Metal. Thanks to comparisons to the likes of Aerosmith and especially Van Halen, talent scouts came running and the band quickly received their first major label contract. Over the years, they have dominated the airwaves, and remain relevant to this day in heavy rotation on VH1’s “Metal Mania” and Internet and Satellite (SiriusXM’s Hair Nation, KNAC.COM, etc.) radio throughout the world! This entry was posted on January 12, 2018 at 11:05 pm and is filed under classic rock, Hard Rock, Heavy Metal, Music, news, rock music, world news with tags bulletboys, classic rock, Hard Rock, hard rock albums 2018, metal odyssey, rock music. You can follow any responses to this entry through the RSS 2.0 feed. You can leave a response, or trackback from your own site.